Does not include "Fun Foods" but they can be added for an additional cost. 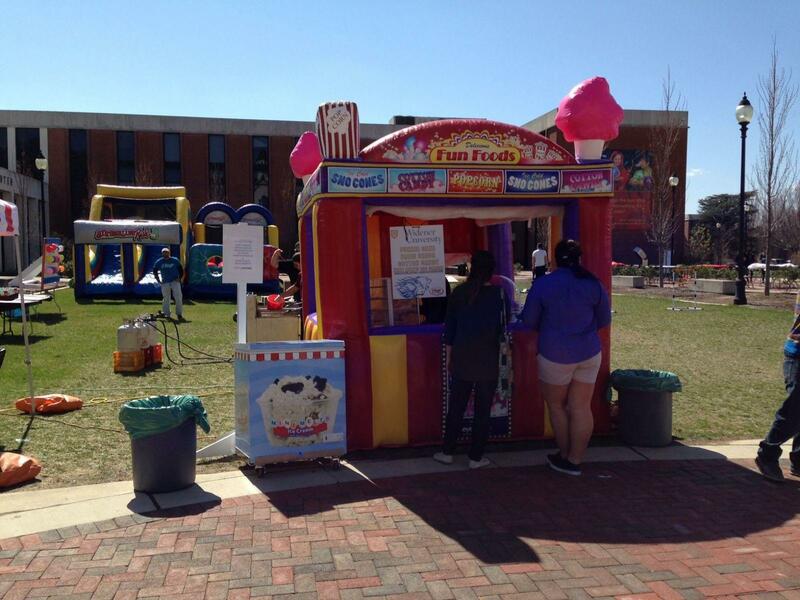 Introducing the 1st Carnival inflatable sweet treat shop. 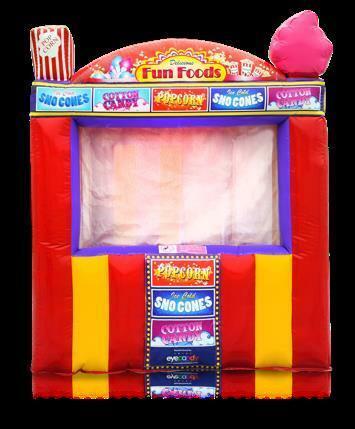 It has windows that we can open or close to serve guests cotton candy,popcorn,sno-kones,pretzels or anything else found at a carnival party. Its big enough to put 4 different fun food carts inside. This beautiful striped carnival tent will be sure to have the biggest line.